After presents were unwrapped across the world on Christmas morning, Amazon's Alexa app [Direct Link] earned the #1 spot on the iOS App Store's Top Free chart, suggesting Echo and other Alexa devices were very popular this holiday season (via TechCrunch). This marks the first time the Alexa app gained a #1 spot on Apple's App Store, and it remained there for over a day. Currently, Alexa sits at #2 on the Top Free chart in the App Store, having lost the top spot today to YouTube. Amazon yesterday said that the Echo Dot was the #1 selling Amazon Device this holiday season, as well as being "the best-selling product from any manufacturer in any category across all of Amazon," with millions of Echo Dots sold. 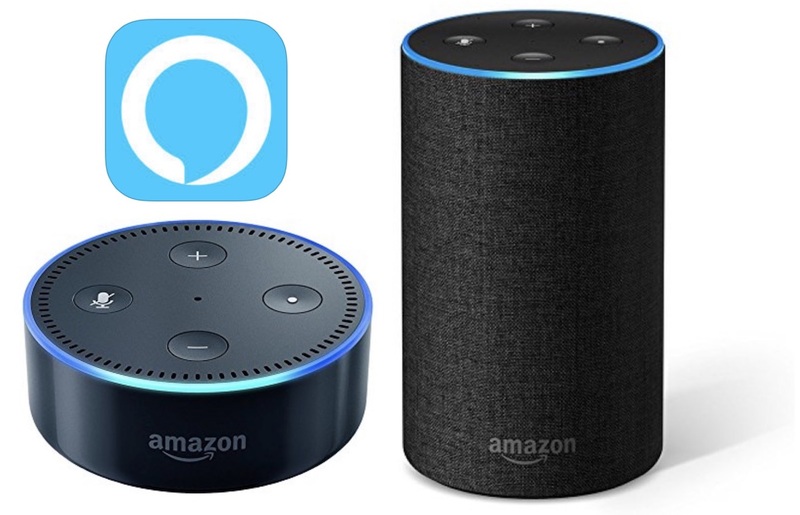 With so many Echo products being purchased for Christmas and other holiday celebrations, users were led to download the Amazon Alexa app so they can set up their speaker, control it, integrate with other smart home products, and more. 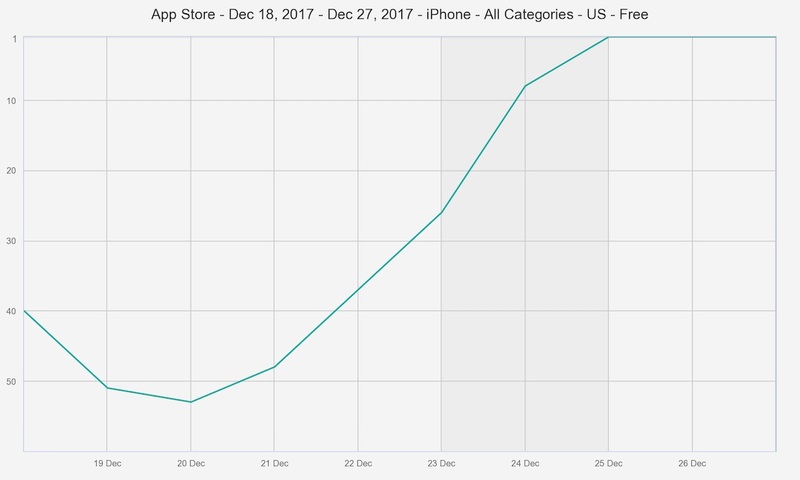 Data gathered from Sensor Tower's App Store analytics shows the Alexa app climbing the Top Free United States iOS App Store charts in the days leading up to Christmas and then peaking at #1 on December 25 and December 26. On Christmas day, the Alexa app gained prominence on the Top Free App Store charts in other countries as well, including Great Britain (rising to #2), Germany (#5), and Austria (#5). As Amazon's Alexa devices continue to dominate the smart speaker market, Apple has plans to release its own music-focused smart speaker device -- the HomePod -- in early 2018. HomePod will be controlled mainly through the user's voice using Siri, and include access to Apple Music and other expected smart speaker functionalities, like asking about the weather, traffic, setting reminders, timers, and more. Apple is taking too long to get the HomePod to market. They're totally missing the ship that is currently sailing for these home assistants. Especially at the ridiculous $349 price. People can outfit every room in their house with Amazon Echo Dots or Google Home Mini devices for the price of one HomePod. We bought 3 (echo and 2 echo dots) and love them. I had a relative say in disbelief that they couldn’t believe I’d buy a non Apple product. I told them I’d have loved to buy an Apple echo device but there isn’t one. I had actually put off buying these waiting for the HomePod announcement and even waiting for the initial reviews once it shipped. After Apple pushed back the December shipping date I just went ahead and bought the echo. I’d love to throw this money at Apple but I can’t. Exactly, I'm waiting for redesigned iOS App. For what tho? You use it like... once to set it up. Then sporadically to add smart home devices. It functions, and that’s all you need. Yeh, this is the comment that now is in the first page of every thread about anything non-Apple. Wait away dude... why would you ever care if the app is ever "redesigned for the X". As BuffaloTF said, its basically a settings app. You can technically use it like an Echo, but not sure I would ever see the point in that. You made the right call, even if Apple's products were available. Apple's walled garden mindset is going to work against it in this market, not to mention their over pricing. What makes Echo work so well is the vast set of skills it has, and the multiple years head start. With Apple you are going to get Siri. It will work well with the Apple stuff I'm sure, but as soon as you add anything non-Apple its going to get frustrating. For example, I've now got quite a few home automation items in play from various vendors. The one last Apple thing in use is Apple TV. I replaced my old Harmony One remote with a new Harmony Hub and Elite for Christmas. I can connect it to my Smartthings Hub, Hue Lights, and control things with the Echo. All I can do with Apple TV is turn it on and off... Roku or Fire TV I can go directly to channels/apps, but not Apple TV. With that, I have to use their stuff. So with the new Apple Speaker, it will control that, but then not control any of the other times my Harmony controls. This type of thing is always going to be way better with Amazon Echo or Google Home. Apple continues to isolate themselves. The problem is that when HomePod finally comes out, Siri isn't going to have to be "on par" with Alexa/Home - it's going to have to blow them out of the water in every regard for people to consider buying one due in part to how entrenched Echos and Home products are. Otherwise with the obscene price point Homepod is offered at it's going to be just another Apple TV - a hobby and little more. Apple have said before they don’t aim to be the first they aim to be the best, they have done it before and could do so again, you don’t always have to race or win the race. Part of Apple’s charm is in its ecosystem, I get what your saying about Siri tho it isn’t as good at the moment, that could be why the Homepod is delayed until early next year. The price is high but it’s suppose to have much better audio quality than Amazon’s eco, so a high end speaker with a Siri assistant is the appeal here, but they do need to get Siri done correctly!! I think you are missing the point. The Apple ecosystem for something like this is not a benefit. Apple's is closed. In order for one of these to do the best job, it needs to be able to talk to anything. If one component doesn't work, then it creates great friction. Also, once people start deploying one of these in their house, they aren't likely to want to switch.... it would be a ton of work and a lot of relearning how to communicate with it. Alexa and Google will dominate this space. Apple will make a big profit on a small share of the market from loyal Apple fans. By the time Apple ships homepod it will be too late and way too expensive.